Jump-starts and reinforces daily healthy habits – no more out of sight and out of mind. Transforms the drudgery of discovery and compliance - it's joyful to find and use the right products that work for us and that we'll adhere to. A visually powerful reminder – replenishing a dwindling supply is a constant reminder. There are health stations in our homes today. 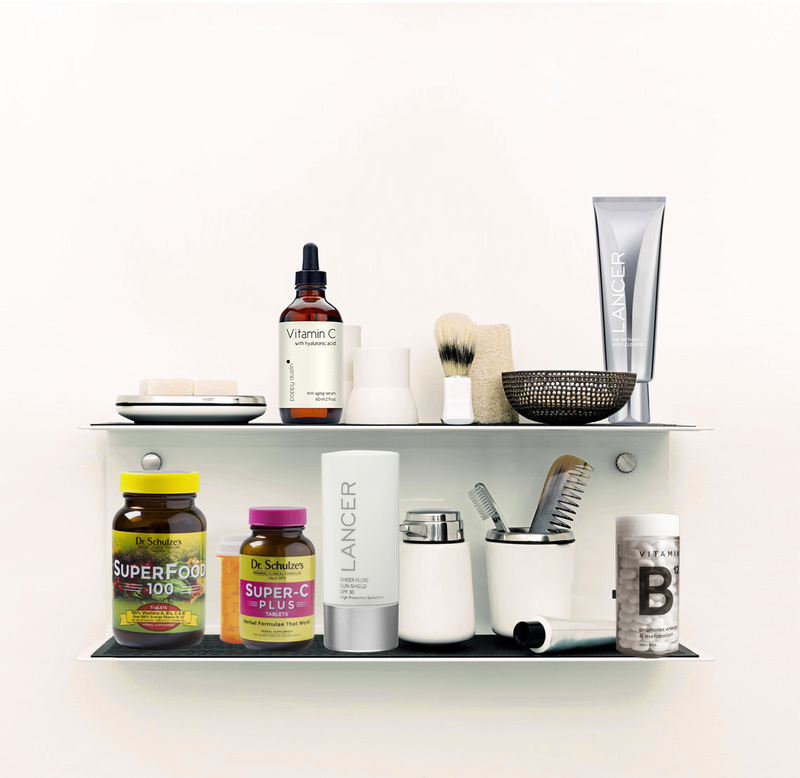 Those places on our kitchen or bathroom counters where we place the products we’re supposed to use daily. However those places are not as organized, goal-centered and stocked as they could be. They are not that visually appealing and, when guests arrive, we tend to put all our stuff away – out of sight and out of mind. 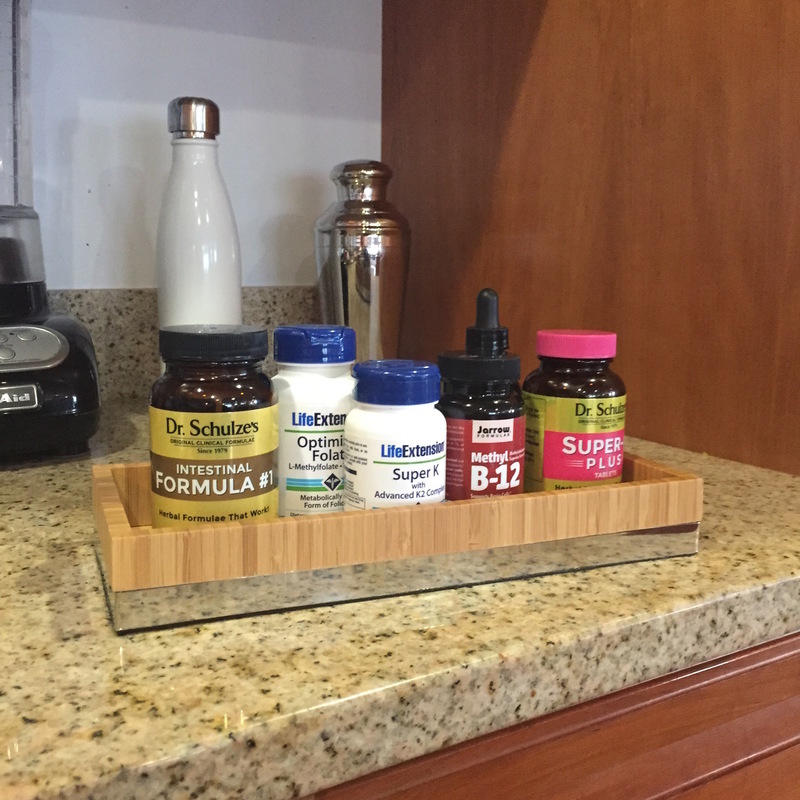 Many of us have gone from stuffing our vitamins, supplements and skin creams in the back of a cabinet to proudly displaying them on our countertops. 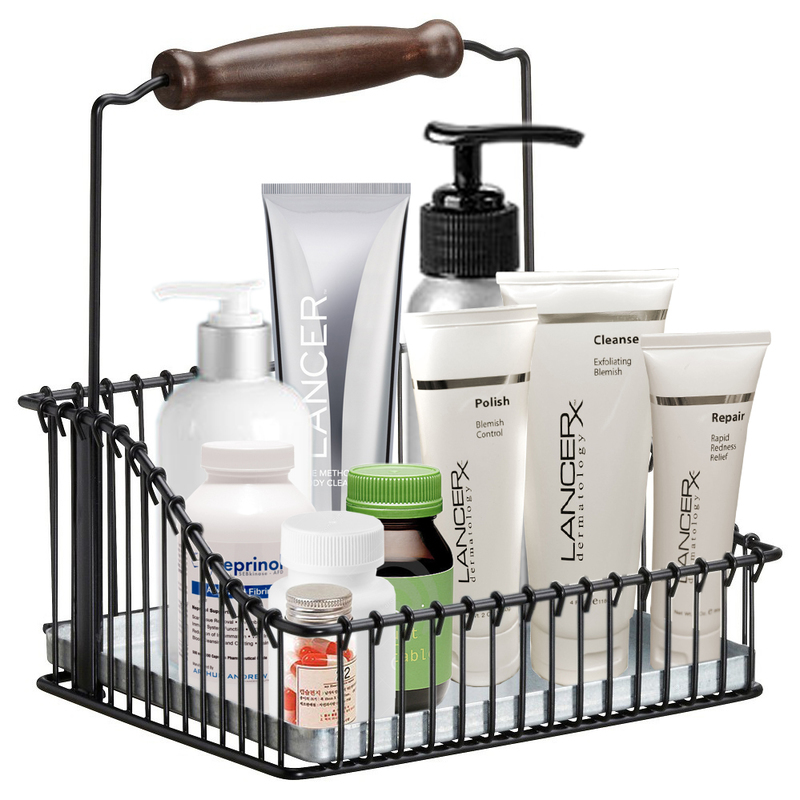 After all we worked so hard to find the right products, purchase them and get into a routine of taking them regularly. This led to us becoming local health gurus of sorts as our family, friends and neighbors saw the products we were using, asked if those were our secrets to looking and feeling so good and getting those products themselves. A Phrase Needed to be Coined. Healthy Daily Habits Are Hard to Achieve. We may not be able to get the exact balance of food, exercise, and mental fortitude we need each day. If our bodies are further deprived of the substances needed to perform the miraculous jobs they do for us each day, we are truly running on empty. And that’s when deterioration sets in. We tend to see that there’s a correlation between being run down and getting sick. Ever try to lose weight when you are stressed to the max at work and at home? What’s the first thing that falls to the wayside when we injure ourselves? If we get a better night’s sleep, we eat better, have more energy to work out and have less stress. If our bodies are nourished with healthy plant-based energy, we are more satiated and have fewer cravings. If we’re storing years of toxic chemicals and sludge in our guts, letting inflammation go untreated and going too long without intimacy because we don’t feel good, we’re sabotaging everything we worked so hard to create – a fabulous life. There are 4 main Goal sections listed below. We suggest you approach stocking your first HealthStations™ with the basics needed to restore nutritional and cellular balance with simple goals for optimal energy, vitality and immunity. First Empower the Body to restore the nutritional, digestive, and preventive energy the body needs to thrive. Then take on your Aspirational Goals, Prevention Goals and Symptom Solving needs. Order your products and have some fun accessorizing for when they arrive. 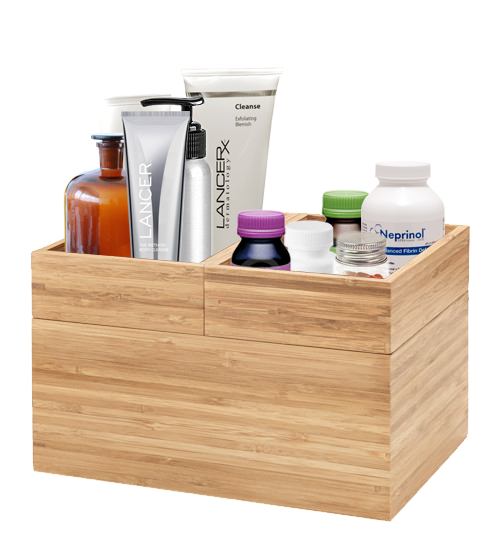 You’ll see our picks for HealthStation™ containers in each of the 4 Goal sections. All it takes is 15 minutes a day and an AM/PM mindset. Whether your prefer to take super food tablets in your bathroom after brushing your teeth in the morning while putting on your SPF lotion or putting super food powder in your morning shake before you do anything else is a personal preference. Just spend a moment on planning how you’ll best adopt a routine that works for you and it will work for you! To find out more about how we select the products we recommend, please read What You Can Expect from Us.